The update regarding the use of cannabis oil in South Africa is long overdue. But those who want to use this natural therapy need to wait until we hear more about the where and the how: where will the public be able to access good cannabis oil and how will we be able to get it? Medical cannabis that contains cannabidiol (CBD) is already legal in South Africa. But it has to be prescribed by a medical practitioner who knows what your health complaint is. This seems ironic as CBD has no known side effects and is not addictive. Meanwhile, tetrahydroncannabinol (THC) is illegal as this cannabinoid is psychoactive and can make the user high. It is also a recreational drug which, in the past, has been linked to addiction and behavioural issues in users. 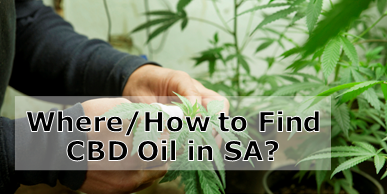 Where and How Can You Get Cannabis Oil in South Africa? At Herbal Organics, we believe in providing only the best quality cannabis oil to all South Africans – we are approved stockists of Panacea Oils medical cannabis products. Where you get your cannabis oil and how you get it are up to you. But when you get it, you will find relief from pain, insomnia, depression, fatigue, mood disorders and anxiety! Natural and organic, the Panacea Oil products are packed with the right cannabinoids (CBD), for your health. Our team is available 24/7 to answer your queries and to take your medical cannabis oil orders in South Africa. Order tinctures, capsules, creams and oils from us directly. Delivery to your door is within 48 hours but usually the next working day. Find out more about the uses of cannabis oil and how best to combine the oils with other medications, like chemotherapy, radiation or surgery when you read our website. Remember to always consult with your doctor before you start any cannabis oil or alternative therapy treatment on your own. Each person has unique needs and unique dosage requirements. Find out more here about cannabis oil in South Africa. More than a year ago, the judge in the Western Cape High Court ruled that some sections of the Drugs and Drug Trafficking Act were null and void – unconstitutional. The judge took issue with the fact that everyone has the right to privacy in their own homes and should be allowed to use cannabis at home. Parliament was given two years to rectify the relevant sections of the Act while private individuals continue to use cannabis in the privacy of their own homes. An update law around cannabis will also include the cultivation and production of cannabis and cannabis products into medical cannabis and how to regulate this industry. Already, many South Africans are using medical cannabis in the form of CBD oil as this is indeed a Panacea for many ailments. Where and how can we all access cannabis oil in South Africa? 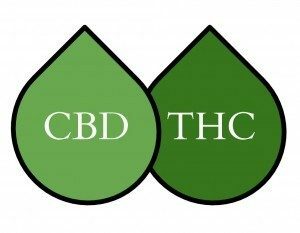 There is a huge opportunity for the health industry when the CBD market grows within the next 5 years. Many countries are allowing CBD as a natural therapy, alongside the usual pharmaceutical drugs. The big difference is that cannabis oil does not have a negative effect on your liver, kidneys, stomach and mind – in the way these hectic drugs often do. The South African Department of Health and its regulatory body have issued new guidelines regarding the growing of cannabis that is to be used for medical, scientific and clinical research only. 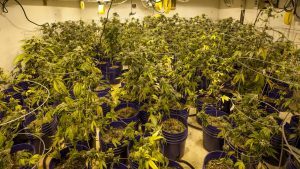 Applicants need special licences and approval for the production, export/import and distribution of cannabis products. No THC will be allowed into this equation. In future, people are hoping that THC becomes legal as it is a potent natural therapy. CBD and THC are natural anti-inflammatory compounds and can treat pain. CBD is a natural antioxidant, anti-depressant and can relieve stress and anxiety. Both cannabinoids are ideal for arthritis and muscle pain too. Chat to your local provider – Herbal Organics – and find out where and how to get your stash of cannabis oil in South Africa.